Is the ghost of Elvis hanging out in Frankfort? No, not exactly. But the concert scheduled one week after The King's death haunts a vault in the state treasurer's office. 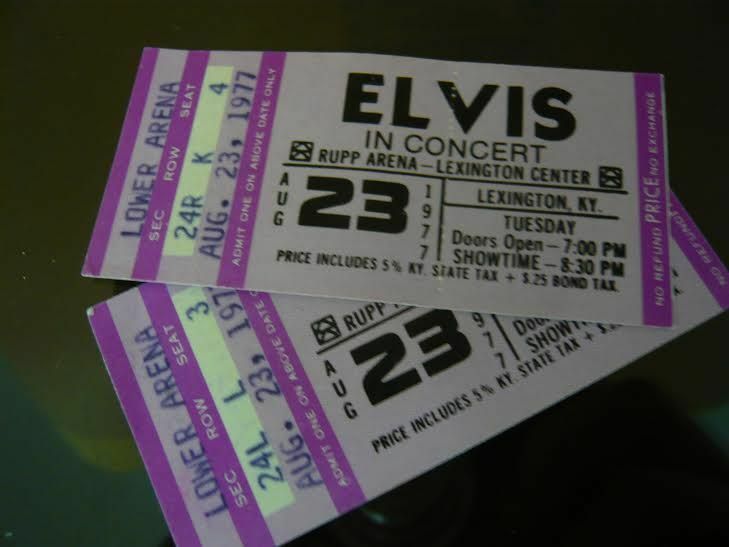 A pair of tickets to the August 23, 1977 show is among some of the items stored there after being taken from unclaimed safe deposit boxes. “Paranormal experts speculate that Elvis wants to repay all the folks who missed the concert and is collecting every ticket then haunting the owners with a song,” Treasurer Todd Hollenbach joked. His office sent out the Halloween-themed news release Thursday morning. The tickets are among more than 20-thousand unclaimed items from abandoned safe deposit boxes stored in the Treasury vault. Other spooky items in the vault include a set of false teeth, a stack of silver bullion, a jewel encrusted tiara, a souvenir from the S.S. Titanic and a Joe DiMaggio autographed baseball. There’s even an urn filled with the remains of someone or something. If you think you might have something or something that belongs to you in the vault from an old safe deposit box and you want to retrieve the contents, all you have to do is go to MissingMoney.com and enter your name to see if you’re on the list. Treasurer Hollenbach serves as custodian of all unclaimed property surrendered to the state that is presumed lost or abandoned. Each year, the Kentucky Treasury returns millions of dollars in unclaimed property to Kentucky residents. Since 2008, Hollenbach and his Treasure Finder’s Program have returned $115-million in unclaimed property to Kentuckians. The Treasurer has set a goal of returning $120-million before his term ends next year.